This pudding shaped cup is filled with delicious mini chocolates that are shaped like traditional Japanese pudding. 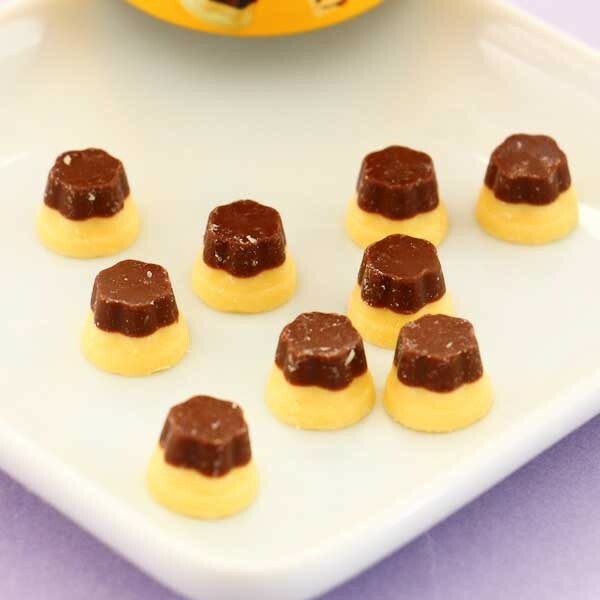 The tiny chocolates consist of two layers; white caramel-flavored chocolate and delicious milk chocolate. 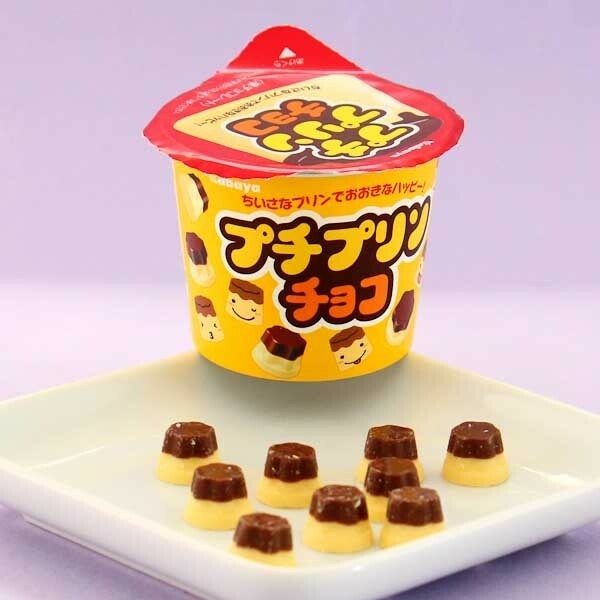 The chocolates come in a small kawaii cup with a peel-off foil lid. Perfect size for snacking!